In addition to all of the fun guest posts/weekly challenges to go with our 100 Acts of Kindness project - we will continue to post about our day to day activities. Growing up, my sister and I would spend hours cutting out the people from the Sears Catalog and playing "paper dolls" with them. 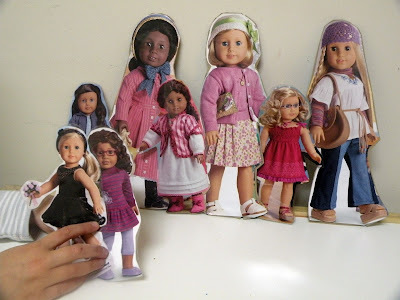 To this day I feel bad putting all of the beautiful doll/clothing magazines we receive in the recycling bin - so we often times choose our favorites from the magazines and make them into durable dolls for my daughter and me to play with. We used images from a doll catalog for those pictured above, but have also used cuts outs from children's clothing magazines and my husbands sports magazines (pictured below). 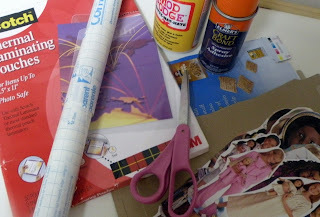 You can mount your cut outs on card stock or cereal boxes (I like using spray adhesive or Mod Podge) or you can cover them with contact paper as well as laminate them (this seems to work the best for us based on the frequency of use). I also have been wanting to try this idea for mounting magazine cutouts on magnets. Playing with paper guys & dolls provide endless opportunities to develop language, sorting and comparison skills, and imaginative play. Do you make your own paper guys or dolls? Hard to believe we are about half way through our 100 Acts of Kindness Project - it's not too late to join in. Seriously, why have I not thought to do this before? My girls pour over those magazines every time they come in! They would LOVE this! I love the magnet idea - a fun way to play. 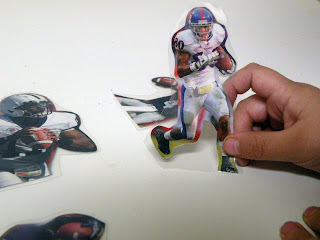 We will be snipping & laminating soon! Thank you. oh my goodness, I LOVE this idea! I'm pinning! Must keep my eyes open for dolls and such in magazines! And I really must get a good magnet board! I sometimes throw those American Girls magazines away before my daughter sees them because I just know it will be another "I want" week. Now I know what I will do next time. How lovely and so simple. These are such a great idea!! I hate throwing them away too. 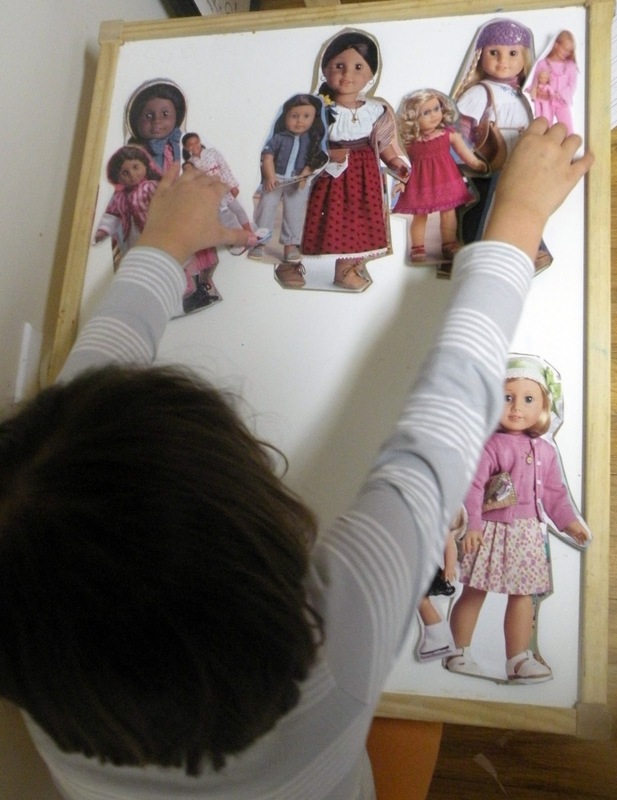 We do a lot of collages, but making magnetic dolls is a great idea! What a great idea, they would make great fridge magnets too! I think I know what we will be doing tomorrow. Thank you!! I think I will back them with felt and use them on the felt board.